That’s why you should focus on quality, experience, and luxury before confirming any reservation with the company you plan to hire. February 27, 2018 (Washington, DC) – Would you ever think that any Dulles limousine you hired could ruin your plans? If not, that’s fortunate, but it’s not the case. In fact, the wrong company could ruin everything. How could a limo to Dulles destroy your plans? What happens if you are heading often your honeymoon, for example, and hire a Dulles airport car service, but they arrive to pick you up late, get caught in traffic, have no real way to get around those delays, and you arrive at the airport with not enough time to check in, go through security, and make it to the terminal? Your plane, unless it is delayed for some other reason, is taking off. That means you and your new spouse will have to scramble and find another option to get out. That could delay you by hours or even an entire day, if not more. Depending on your ultimate destination, you could be that delayed by more than just a couple of days. You see, it could ruin your plans. 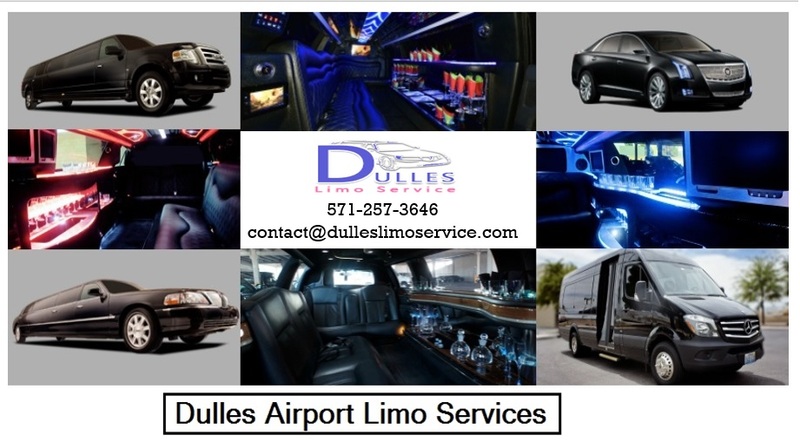 A quality Dulles Airport limo service should not only have incredibly luxurious, late-model vehicles, but also a large fleet so there’s no risk of overbooking and ultimately running late. They should also have highly knowledgeable and safe drivers who have the latest GPS navigation technology at their fingertips. Whether it’s for your honeymoon, a business trip, vacation, visiting family. Or some other reason, when you need a Dulles limousine, don’t take chances. Hire a company that has been around for decades and has earned the reputation of being one of the leaders in transportation throughout the Greater DC Metro Area. That would be Dulles Limo Services. We offer complementary bottled water and mints for all of their guests. Our phone number is 571.257.3646 and their website, for making reservations quickly and easily, is www.Dulleslimoservice.com.